This is how it looks the dress room of Kylie Jenner, "The Youngest Millionaire"
Kylie Jenner, a model and actress of the United States has attracted people's attention after it was published that she was ranked as "the youngest self-made billionaire" by Forbes Magazine. Kylie unveiled a photo of her dress room on March 11th. Dozens of designer bags such as Gucci and Hermes are stored in the dress room. On July 12th, the result of the Forbes selection was announced, and the picture of Kylie's dress room became again a hot topic. 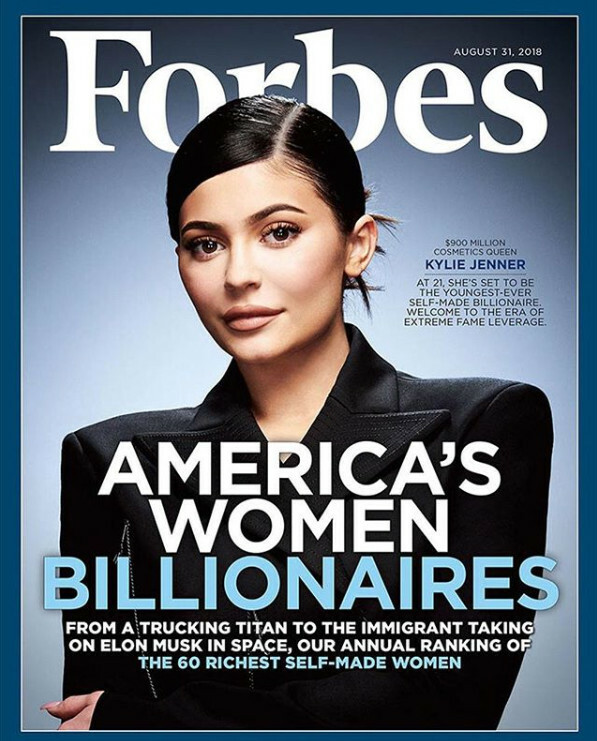 Kylie Jenner has appeared on the Forbes August issue. According to the magazine, Kylie's assets are worth about 900$ million dollars. Kylie Jenner, the youngest American billionaire now owns 100% of her own cosmetics brand "Kylie Cosmetics".